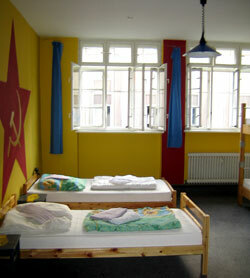 Welcome to Kocalan, an hostel made by travellers and for travellers. A nice place, lot of fun to enjoy your holidays in Buenos Aires. David y Yann, the owners, two ex travellers, are waiting for you. The house located in the district of Palermo just at the limit with "La Recoleta" and "Abasto", is just in the middle of the town, that's definitly better to go quickly everywhere you want in Buenos Aires Kocalan is waiting for you in your next trip in Buenos Aires! NEW: Now you can call us cheaper from Europe with our french number, dial: 0870 466 560 (form France) or 33 870 466 560 (from elsewere).